Not too many years ago the only tweets in school were made by a coach blowing into a whistle. However, today’s tweets are made by computers, smart phones and other hand-held devices using a variety of Twitter applications. Twitter, a communication platform for social networking, is becoming a mainstream tool used in educational settings by teachers, students and staff members across Hudson. Read more: Twitter to be used as educational tool by Hudson school teachers – Hudson Hub-Times | Hudson & Summit County, OH. Recently, I had the opportunity to record a Google Hangout with four connected educators on “Growing Your PLN.” Lyn Hilt @l_hilt, Nick Provenzano @thenerdyteacher, Lisa Dabbs @teachingwthsoul and Patrick Larkin @patrickmlarkin joined the conversation and shared a wealth of advice on how educators can develop a strong personal learning network. Read more: SmartBlog on Education – Personal learning networks: Advice from the trenches – SmartBrief, Inc. SmartBlogs SmartBlogs. Read more: For Public Schools, Twitter Is No Longer Optional – Forbes. 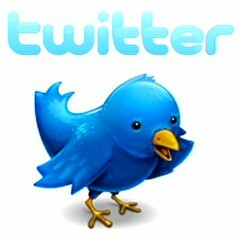 A lot is being said about Twitter these days in the education arena, and it seems to be a growing trend. Despite its reach, Twitter still offers a lot of resistance within certain conservative educational groups that are married to the concept of professional development being a formal process taking place only in selected events or at predetermined times of the year by experts. Although Twitter has certain entertainment clichés attached to it, it offers consistent alignment with educational and technological standards, which we will attempt to analyze in this article. Read more: SmartBlog on Education – Are Twitter and educational standards divorced? – SmartBrief, Inc. SmartBlogs SmartBlogs. Kathy Schrock has been a district tech director; an instructional tech specialist; and a school, academic, museum, and public librarian. She currently teaches online graduate courses for two universities and is an Adobe Education Leader, a Google Certified Teacher, and a Discovery Education Guru. The common thread that runs through all of her work is her mission to help teachers keep up with the latest technology. Whether she is writing, speaking, blogging, or tweeting, her goal is to show educators where and how to find tech tools that will engage their students. Read more: Finding the Right Tech Tools Is Easy, If You Know Where to Look — THE Journal. Twitter is one of those pieces of technology that people either love or hate. For the haters, it seems like a superfluous, narcissistic, even petty platform through which people who think they are more important than they really are share their most intimate details with the world. For those who love the medium, it is a way of filtering and digesting a vast world of digital information quickly and efficiently. Some even see it as a possible vehicle for changing the world. Others have begun using Twitter in education with positive results. A recent report from The Education Forum, Twitteracy: Tweeting as a New Literacy Practice, sheds some light on the debate over whether Twitter is a major time waster or a valuable educational tool for developing technological literacy. Is Twitter, with its 140 character limit really a tool that can make education better? If so, how? Read more: 7 Ways Twitter Promotes 21st Century Learning. If you think Twitter cant be used to help with Calculus, then think again. Nick Green @greencalculus is using ShowMe, a whiteboard app, to draw on his tablet while talking through a lesson. He then tweets the lesson to his class. Twitter reduces calculus jitters at Memphis Catholic High » The Commercial Appeal. Knowing which Twitter hashtags to follow can be a headache. There are so many out there. How do you know what’s out there? Today I came across this live list on a Google Doc by Chiew Pang (@aClilToClimb) . Check it out and add any others you know of. As always be respectful to the list owner and only add Edu hashtags. Every Wednesday at 5 p.m. PT, 8 p.m. ET, I host New Teacher Chat (#ntchat) on Twitter. It’s a time for new and pre-service teachers, as well as supportive administrators and experienced teachers, to gather online and have discussions about topics that are practitioner focused and supportive for the soon-to-be teacher. A recent topic was one that is always near and dear to my heart — back to school — tips to make your first day/week/year great. This time of year can be particularly stressful for new teachers as they embark on the first steps of their careers. Our chat about starting the year, which armed new teachers with supportive strategies to avoid the back-to-school jitters, was engaging and collaborative. Full Text: Helping New Teachers Beat the Back-to-School Jitters with Twitter | Edutopia.